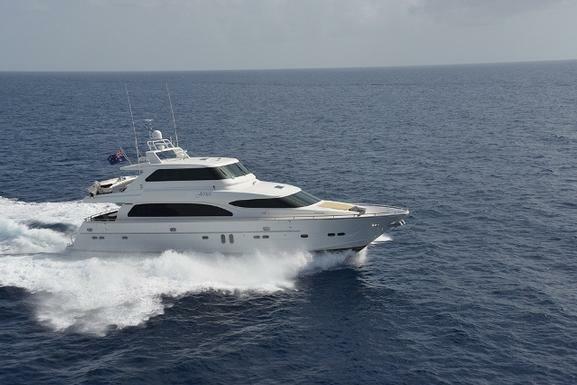 Jessica- 2005 82' Horizon Motor Yacht enclosed pilothouse will be on display at the Fort lauderdale boat show. She will be located in Woods & Associates Display at the south side Hall of Fame marine slip #207. Below is link for you tube video & full specs.